Ear infections are a common condition in dogs, especially in dogs with demodectic mange. This is because the type of yeast that causes most ear infections just happens to be the same one that causes fungal skin infections in the majority of dogs with demodicosis. While yeast is the bigger nemesis, bacteria, ear mites, and foreign objects can also cause ear infections. The yeast that causes nearly every ear problem is Malassezia pachydermatis. As a yeast, it can invite mites and fungal infections. The most common things that cause Malassezia to flare up into infections are moisture, parasites, allergic reactions, residue buildup, and bacterial infections. Fortunately, if these problems are not severe you can tackle them yourself. Ear mites are actually a type of mange! These teeny little parasites are common enough and serious enough to have earned being classified as mange mites. There are several types of mites that can live in your dog’s ear, but the most common (not that you care) is Otodectes cynotis. If their dog gets ear mites, most people aren’t aware that their dog has a type of mange. An infestation of contagious parasitic ear mites is clinically known as Otodectic mange. Ear mites are often thought of as more of a nuisance than a threat but truth be told, they should be taken seriously. They can cause ear infection, leave the ear and move onto the body, make your dog miserable and infect your other pets. Causing irritation and inflammation, ear mites can infect the external and internal canal, and lead to more serious skin or ear infections if left untreated. Infection usually produces a characteristic dark discharge; in some cases, the ear canal can become entirely obstructed by this coffee ground-like debris. Ear mites are highly contagious and can be easily transmitted to other dogs or pets, including cats, rabbits, hamsters, gerbils, mice, and ferrets. They do not spread to people under normal circumstances. Ear mites are transmitted through social interaction, such as sleeping or playing together. For this reason, all animals in a household must be treated for ear mites, even if only one or two have symptoms of an active infection. Treating ear mites is a matter of deep cleaning the ear (see below) and following up with an ear mite antiparasitic treatment. We recommend natural over chemical and recommend Davis Ear Mite Lotion. In addition to treating all pets, the environment should also be cleaned. Wash items like pet bedding in hot water and then run them through a hot dryer until they are completely dry. Thoroughly vacuum areas where pets spend a lot of time. The best prevention for an ear mite infestation is to keep your dog’s ears so clean that they don’t want to live there. You should give your dog a deep ear cleaning once a month at a minimum. More if your dog is prone to ear buildup. Both yeast and ear mites couldn’t ask for a better environment to live in than a warm, dark, moist ear canal, where they can cause severe ear problems! Give a glance at the diagram up at the top of this post to see the shape of a dog’s ear canal — it’s practically an incubator for problems. Yeasty ears typically have a dark reddish brown buildup of waxy gunk around the folds of the ears and deeper within the ear canal itself, and/or a pungent, yeasty odor. Ear mites add a dark grainy discharge somewhat like coffee grounds. All are indicators of unhealthy ears. Clearing out sick ears is a must before things go from bad to worse. Depending on the condition of the ears, it may take a few cleanings to clear all the yeast and debris. Once things are cleared out, keep them sparkling with regular maintenance cleanings. This is one of those times when you really need the right tools for the job. Wash your dog with a special medicated anti-fungal shampoo meant for Malassezia. Fourteen studies have identified that using a broad spectrum formulation containing 2% miconazole nitrate & 2% chlorhexidine gluconate is more effective against Malassezia by a long shot. Ours contains that top-rated formula and is excellent. Removing the yeast around the ear and on the inside of the ear flaps is an important part of the quick resolution for topical Malassezia yeast. When bathing, try to avoid getting water down into the ear canal. Dry the ear as far as you can safely reach by hand after bathing. If you suspect that water has made into the middle ear, dry it out with homemade swimmer’s ear drops. (Recipe below) If you’re also using Mite Avenge, bathe on non-treatment days. 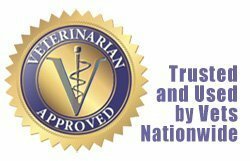 Get yourself a good veterinary ear cleaner or flush designed for removing yeast pathogens and any sticky debris that harbors it. We recommend Boracetic Ear Flush because it gently but effectively eliminates ear conditions associated with bacteria, yeast, and other fungi. It also provides relief for ear inflammation & pain, discharge, pruritus and head shaking. It’s great for flushing oily or crusty ears and most importantly — flushing out the yeast mites feed on. If you suspect your dog has ear mites, now is the time to send them packing. 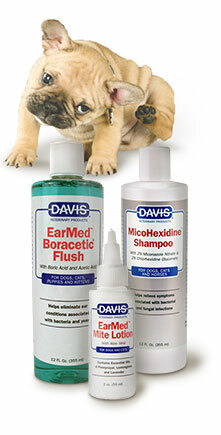 After the ear is dry apply a natural antiparasitic ear mite lotion as directed. Repeat at least weekly for 4 weeks to ensure the parasite’s life cycle is broken. Now, grab your gear and let’s get busy. Give your pet a treat for sitting and show her the ear cleaner. Gently hold the flap of the ear upright and fill the ear canal with ear cleaner. Direct the tube vertically downwards. Keep ahold of the ear and move your hand down to where the ear meets the head. Massage at the base of the ear, aiming to mix the ear cleaner around within the ear canal. You should get a squelchy noise if you are doing this correctly. After you have massaged the ear for 20–30 seconds, stand back and let go of the ear. 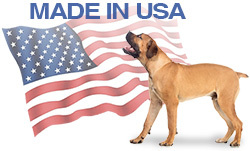 Your dog should now vigorously shake his head. Grab some cotton balls and use it to wipe out the folds at the opening of the ear canal until it looks pretty clean. Repeat until you can’t get any more matter out. Give your dog a treat and move on to the other ear. The key with ear cleaning is to use a liberal amount of ear cleaner. As the ear canals are quite long, the wiping step is not enough to get all the ear discharge out. The idea is that when you massage, you will be breaking up the discharge lining the inside of the ear canal so that it forms a solution with the ear cleaner. Your pet can then shake the liquid out. The video below will walk you through the process. The best treatment is prevention. These tips will help. Keep hair trimmed in the ear and around the canal. Give those ears a the sniff test and check your dog’s ears regularly for abnormal discharge, and/or redness. If your dog’s outer ear appears dirty, clean gently with a cotton ball dampened with your ear cleaning solution. Dry well. Consider putting cotton in the ear when swimming or bathing to prevent any water from getting in the ear. Deep clean with an anti-yeast ear flush at least monthly following the steps above. Clean as often as necessary if your pooch is prone to buildup or ear mites. Never put anything into the ear canal and don’t use anything bigger to clean the upper ear. Never syringe pet ears; this is a veterinary procedure only. If you know you your dog doesn’t have a punctured eardrum, you can use swimmer’s ear drops preventatively to dry moisture in the ear canal and alter the ph to make it less conducive to yeast proliferation. You can buy a commercial product at your local drug store or you can make your own using the following recipe offered by the Mayo Clinic. Mix together 1 part white vinegar to 1 part rubbing alcohol. Pour 1 teaspoon (about 5 milliliters) of the solution into each ear and let it drain back out. This entry was posted in Cheyletiella Mange, Demodectic Mange, Immune Support, Mange Tips & Tricks, Sarcoptic Mange, Skin & Coat, Uncategorized. Bookmark the permalink.